Maybe you've seen these screen shots from the next Saints Row. Maybe you've seen the high-res concept art. After all, most of this stuff is almost a month old. But maybe you haven't seen what Saints Row: The Third will look like. If so, this lengthy gallery is for you. See a street thug about to be whacked with a giant purple dong. Get excited for gun fights and skydiving. 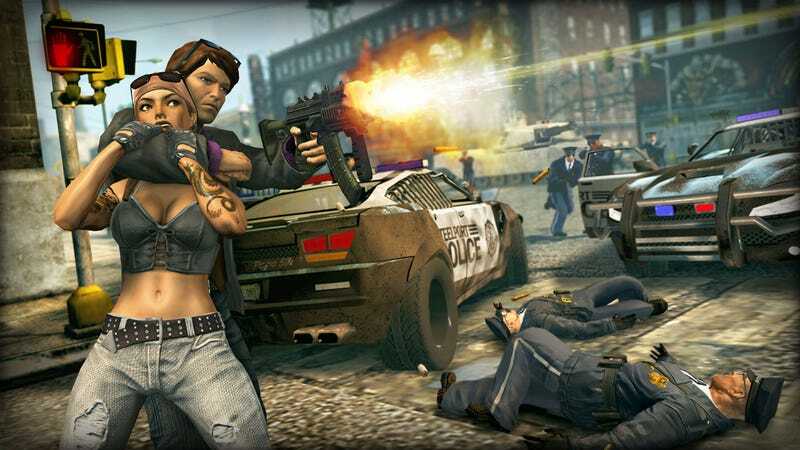 Start planning the weird character customization Saints Row: The Third will be capable of. See what THQ and Volition have planned for the next big Saints Row game, coming to the PlayStation 3, PC and Xbox 360 later this year. Oh. Do keep in mind that the purple dong melee weapons and skimpy bikinis on display may be considered NSFW.